Economists generally agree that trade barriers are detrimental and decrease overall economic efficiency; this can be explained by the theory of comparative advantage. Most trade barriers work on the same principle: the imposition of some sort of cost (money, time, bureaucracy, quota) on trade that raises the price or availability of the traded products. If two or more nations repeatedly use trade barriers against each other, then a trade war results. Barriers take the form of tariffs (which impose a financial burden on imports) and non-tariff barriers to trade (which uses other overt and covert means to restrict imports and occasionally exports). In theory, free trade involves the removal of all such barriers, except perhaps those considered necessary for health or national security. In practice, however, even those countries promoting free trade heavily subsidize certain industries, such as agriculture and steel. High income countries tend to have less trade barriers than middle income countries which, in turn, tend to have less trade barriers than low income countries. Small states tend to have lower trade barriers than large states. The most common trade barriers are on agricultural goods. Textiles, apparel and footwear are the manufactured goods which are most commonly protected by trade barriers. Tariffs have been declining in the last twenty years as the influence of the World Trade Organization has grown, but states have increased their use of non-tariff barriers. According to Chad Bown and Meredith Crowley, world trade is "probably" vastly more liberal in current times than was the case historically. According to Ronald Findlay and Kevin H. O’Rourke, "for the nineteenth and twentieth centuries trade barriers and transport costs were the most important barriers to trade". They also write, "during the mercantilist era price gaps were as likely to be due to trade monopolies, pirates, and wars as to transport costs and tariffs, which are more easily quantifiable." Georgetown University Professor Marc L. Busch and McGill University Professor Krzysztof J. Pelc note that modern trade deals are long and complex because they often tackle non-tariff barriers to trade, such as different standards and regulations, in addition to tariffs. Due to steadily decreasing tariff barriers since World War II, countries have become increasingly likely to enact trade barriers in the form of non-tariff barriers. National firms often lobby their own governments to enact regulations that are designed to keep out foreign firms, and modern trade deals are one way to do away with such regulations. 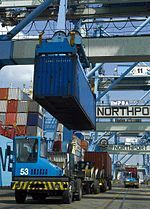 Trade barriers are often criticized for the effect they have on the developing world. Because rich-country players call most of the shots and set trade policies, goods such as crops that developing countries are best at producing still face high barriers. Trade barriers such as taxes on food imports or subsidies for farmers in developed economies lead to overproduction and dumping on world markets, thus lowering prices and hurting poor-country farmers. Tariffs also tend to be anti-poor, with low rates for raw commodities and high rates for labor-intensive processed goods. The Commitment to Development Index measures the effect that rich country trade policies actually have on the developing world. Trade barriers are mostly a combination of conformity and per-shipment requirements requested abroad, and weak inspection or certification procedures at home. The impact of trade barriers on companies and countries is highly uneven. One particular study showed that small firms are most affected (over 50%). Another negative aspect of trade barriers is that they result in a limited choice of products and would therefore force customers to pay higher prices and accept inferior quality. Trade barriers obstruct free trade. Before exporting or importing to other countries, firstly, they must be aware of restrictions that the government imposes on the trade. Subsequently, they need to make sure that they are not violating the restrictions by checking related regulations on tax or duty, and finally they probably need a license in order to ensure a smooth export or import business and reduce the risk of penalty or violation. Sometimes the situation becomes even more complicated with the changing of policy and restrictions of a country. With the arrival of the Trump Administration, the U.S. has increasingly adopted tariff-based trade barriers. According to the Administration, these barriers are put in place to help domestic industries that it believes are exposed to unfair competition from imports. It also accuses some foreign countries, notably China, of applying non-tariff barriers to U.S. exporters, such as localization requirements that demand transfer of intellectual property. As of 2018[update], it is engaged in the 2018 China–United States trade war. European Union and the U.S. The EU (collectively) is the United States' largest trading counter-party. As of 2018[update], the UK is a member of the EU and the figures below are also included with the US/EU figures above. U.K Exported 65,729 Million dollars worth of goods in 2016 to the U.S.
U.S Exported 51,698 million dollars worth of goods in 2016 to the U.K.
Mexico exported 32,045 million dollar's worth of goods to the U.S in 2016. The European Customs Information Portal provides information to businesses in member states on export issues. As of December 2018[update], the UK is a member of the European Union and participates in the EU's collective position on trade. The UK exported 4.6 billion euros to India in 2011. The UK exported 3.8 billion Euros to Russia in 2011. China joined the WTO in 2001 and since then they have slowly loosened their trade laws. In 2004 they signed their Foreign Trade Law into effect. This made it so all types of businesses can trade globally as long as they have filed the right paperwork. ^ "What is trade barrier? definition and meaning". BusinessDictionary.com. Retrieved May 22, 2011. ^ a b c d e Bown, C. P.; Crowley, M. A. (2016-01-01). Staiger, Kyle Bagwell and Robert W. (ed.). Handbook of Commercial Policy. 1, Part A. North-Holland. pp. 3–108. ^ Easterly, William; Kraay, Aart (2000-11-01). "Small States, Small Problems? Income, Growth, and Volatility in Small States". World Development. 28 (11): 2013–27. doi:10.1016/S0305-750X(00)00068-1. ^ Rodrik, Dani (1998-10-01). "Why Do More Open Economies Have Bigger Governments?". Journal of Political Economy. 106 (5): 997–1032. doi:10.1086/250038. ISSN 0022-3808. ^ "The Size of Nations". MIT Press. Retrieved 2017-03-13. ^ a b "Commodity Market Integration, 1500–2000" (PDF). ^ "Yes, the TPP agreement is over 5,000 pages long. Here's why that's a good thing". Washington Post. Retrieved 2 August 2016. ^ The Invisible Barriers to Traded. Geneva, Switzerland: International Trade Center. 2015. ^ a b c d "2018 National Trade Estimate Report". ustr.gov. Retrieved 2018-12-08. ^ "United Kingdom - Trade Barriers | export.gov". www.export.gov. Retrieved 2018-12-08. ^ Commission, European. "Binding Tariff Information (BTI): Customs duties payable on imports/exports and other related provisions". www.europa.eu. Retrieved 2018-12-09. ^ Commission, Australian Trade. "Tariffs and regulations". www.austrade.gov.au. Retrieved 2018-12-08. ^ a b c d "UK export and import in 2011: top products and trading partners". the Guardian. 2010-02-24. Retrieved 2018-12-08. ^ a b c "National economy & environment - Foreign trade indicators - Order of rank of Germany's trading partners - new: with turnover and foreign trade balance - Federal Statistical Office (Destatis)" (PDF). www.destatis.de. Retrieved 2018-12-08. ^ "Trade Regulations of China | HKTDC". hong-kong-economy-research.hktdc.com. Retrieved 2018-12-08. ^ a b c Workman, Daniel (2018-12-03). "China's Top Trading Partners". World's Top Exports. Retrieved 2018-12-08.